Sherubtse College in Kanglung, Trashigang- the country’s first college celebrated its golden jubilee on May 26. Initially established as a public school in 1968 by Father William Joseph Mackey, Sherubtse College has come a long way. It was upgraded to a college in 1986. Since then, the country’s premier college has shaped careers and lives of thousands of sherubtseans. 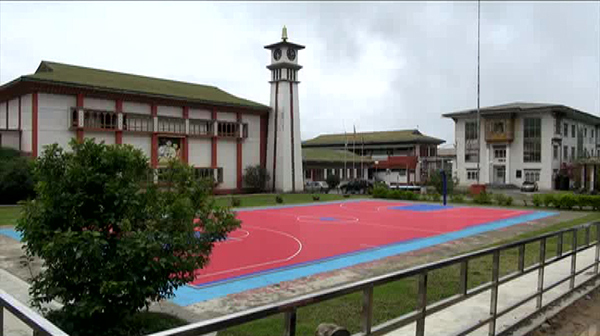 Today, the college is one of the biggest tertiary institutes in the country with over 1800 students. As part of the celebration, former lecturers and alumnus were also recognised for their contribution to the college. Some of the former lecturers shared how the institute has undergone a mammoth change. “The campus has become more beautiful and many new courses have been launched. Even the infrastructure has improved drastically. I am happy to witness these developments,” said Golpala Krishnan, former professor of Sherubtse College. The President of the college, Tshering Wangdi also highlighted the transformation of the college. The college offers courses which are mostly double subject degrees. Besides focusing on academic excellence, the college teaches students values and life skills. Sherubtse also plans to develop single subject degree in the coming years with new programme such as masters and science courses.